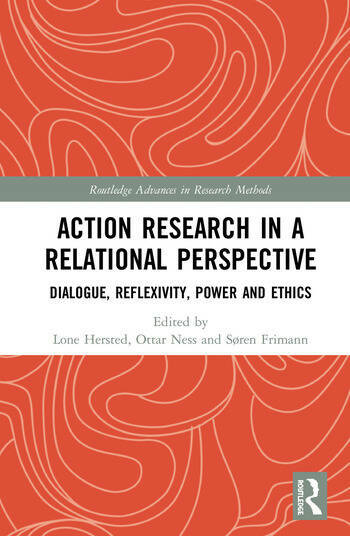 Action Research in a Relational Perspective brings together an expert international academic team to present theoretical perspectives on social constructionist understandings of action research, as well as illustrative examples of action research practices within a wide range of sectors such as organizational learning, leadership development, education, mental health and health care. Building bridges between theory and practice, this book explores themes of dialogue, relationships, tensions, power and ethics in action research projects. It examines both the great potential, and the challenges and dilemmas, of action research. It aims to inspire readers with ideas and a practical ‘how-to’ understanding of doing action research from a social constructionist standpoint. Action Research in a Relational Perspective will appeal to theoreticians and practitioners, senior researchers and PhD students, students, consultants, educators and managers who are interested in action research as an approach to organizational learning, team development, learning among professionals and citizens, or community development. Lone Hersted, PhD is Assistant Professor at the Department of Learning and Philosophy at Aalborg University (Denmark). Her teaching and research are concerned with leadership development, organizational learning, action research, action learning, coaching, innovative and creative change processes and dialogue training through roleplaying. At Aalborg University, Lone is a coordinator, lecturer and supervisor at the M.A. program entitled Master in Organizational Coaching and Learning (MOC). She is trained and certified as a systemic coach at Attractor (DK), and has obtained a Certificate Degree in Systemic Leadership and Organizational Development at University of Bedfordshire in collaboration with KCC (UK) and MacMann Berg (DK). In addition to her academic work Lone has worked as a consultant since 2003 where she has been contributing to organizational learning processes through coaching, supervision, workshops and lectures. Furthermore, she has more than 10 years’ professional work experience in performance theatre. Ottar Ness, PhD, family therapist, works as professor of counseling at the Norwegian University of Science and Technology, and professor of mental health care at University College of South-Eastern Norway and Nord University (Norway), and a Visiting Professor at Yale University (USA). He has considerably experience of doing action research projects from a social constructionist action-oriented stance within the field of family therapy, recovery, mental health and substance abuse field. His research is in the field of relational welfare in order to co-construct and co-create dignifying lives and communities. He is also working with research recovery processes and recovery-oriented practices and services with people with mental health and substance abuse problems. Among his latest books is a handbook of couples therapy, handbook of family therapy and action research. Søren Frimann is Associate Professor, Ph.d. at the Department of Learning and Philosophy, Aalborg University (Denmark). He is the leader of a research group on organizational learning and leadership development with the name POLO (Processes of Learning in Organizations). He runs the Danish Action Research Network together with colleagues in Denmark. The network organizes Action Research conferences, national seminars and publishes books/articles in the area of action research. He is involved in several action research projects in organizations. Currently he is engaged in a research and development project with the aim of developing leadership in practice in 38 Danish vocational schools. His research areas are within action research, learning in organizations, leadership development, coaching, dialogue and communication.